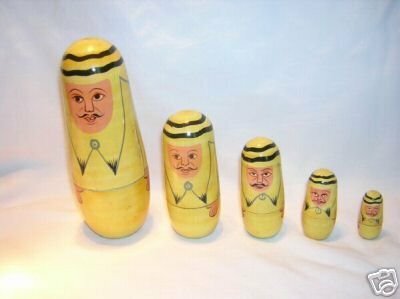 Middle Eastern Men nesting dolls, largest is 6.25" tall in this 5 piece set. Arabian men dressed in yellow. Very Good condition, except the next to the smallest one has a crack in the bottom half. No markings on these dolls.